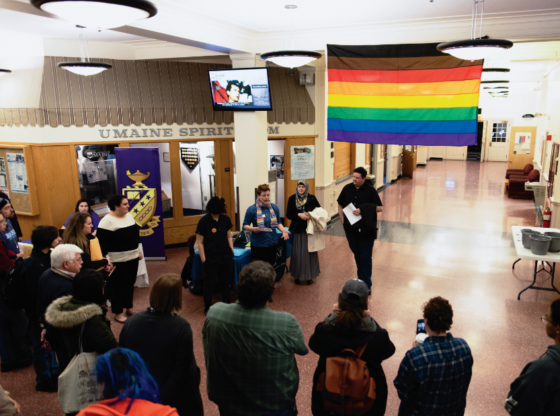 The University of Maine held its annual Renters Fair in the atrium of the Memorial Union from 9 a.m. to 5 p.m. on Feb. 22 and 23. Cross Properties highlighted the available spaces in their Timberview, Founder’s Place and College Park complexes, as well as their standalone locations, and were quick to cite their 32 years in business. The rental fair, in conjunction with their website, makes for good marketing, according to Cross Properties Representative Irene Wickett. 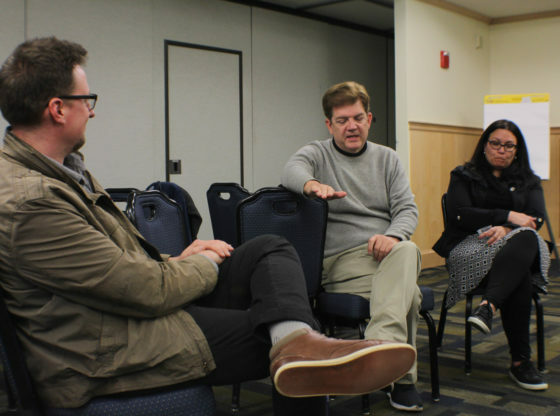 “This is a good outlet for us to get a lot of potential tenants to come out to a college forum,” Wickett said. Representatives for The Reserve demonstrated their key marketing points by focusing on their three to four bedroom apartments, with private bathrooms for each, as well as the fact that electricity, cable and internet would be included in the rent. The Avenue pushed their clubhouse space and on-site amenities as their major selling point. KC Management was also present, promoting its open locations in Orono and Hampden. Tabling at the event was the University Credit Union, handing out pamphlets promoting renter’s insurance through MetLife. 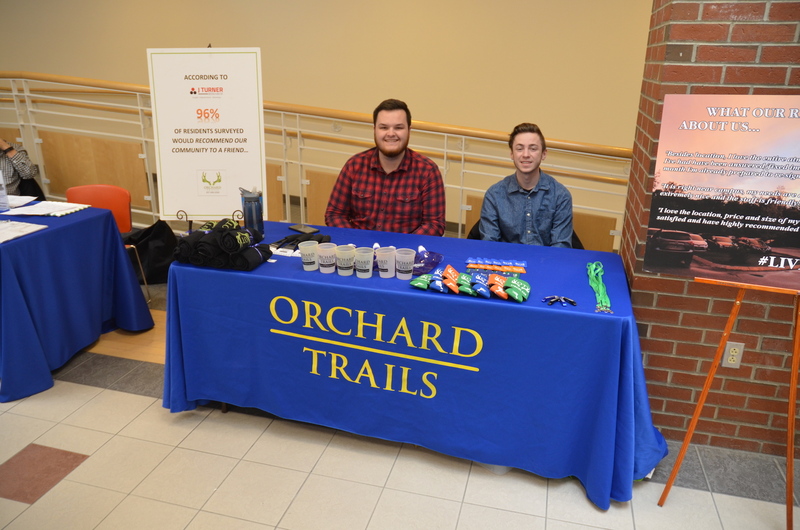 In addition to the nearby apartment representatives and businesses, UMaine also had staff present and tabling. The Financial Aid Office offered information pertaining not only to their student services, but also to the University of Maine’s cost per semester, the different kinds of financial aid, instructions for the use of Mainestreet and basic budget design and management. They also provided applications for this year’s Summer Federal Work-Study Program. The Student Legal Services table carried handouts offering any undergraduate students free legal consultation “for a number of issues,” including reviewing apartment leases, courtesy of the Student Government’s Legal Services Attorney Sean O’Mara. His office can be found in Room 157 in the Memorial Union, next to the Wade Center. You can also reach him at 207-581-1789 or sean.omara@umit.maine.edu.